Italy is a changed place – the only European country to tell it like it is to the EU. Britons are EU servile in comparison. For the European Union, Italy has become that turbulent priest of whom they wish they could be rid, the fly in the ointment, the spanner in the works of neo-liberalism and war. If this is what they mean by “populism,” it’s little wonder that all roads increasingly lead to Rome. There were sanctions on Russia, the flow of refugees from wars declared and waged by others, austerity budgets, and now the comic-opera farce of the recognition of Super-Bowl winner Juan Guaido as president of Venezuela. He didn’t really win the Super Bowl of course; in fact he didn’t even take part. But then he didn’t take part in the internationally recognized presidential election in Venezuela either. On all these matters, Italy has resisted alignment with both Brussels and Washington, and has become probably the most independent country left in Europe. 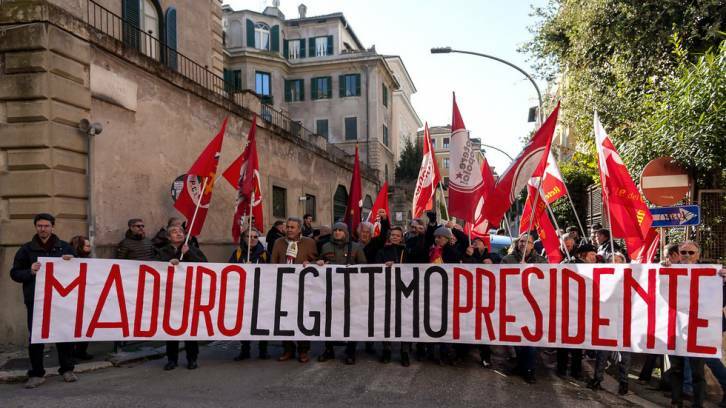 The anti-establishment Five Star Movement and the Lega (formerly the Lega Nord, or ‘Northern League’) seemed strange bedfellows when they took power in Italy – could a left-wing, grass-roots movement really co-exist in government with a right-wing League? So far so good. Neither believes that endless confrontation with Russia is in Italy’s best interests, and so their government has been increasingly reluctant to sign up to successive waves of anti-Russian sanctions. Despite liberal howls in countries far enough away from the endless flow of refugees fleeing war, famine, pestilence and disease in Africa, the Balkans, and the Middle-East; Italy has point-blank refused to be left holding the babies. They didn’t lead the attack on Libya – that was overwhelmingly an Anglo-French affair – so why should they pay most of the price of the human misery which has resulted? The Italian government didn’t attack Syria either. And, notwithstanding their shocking colonialist past in Africa, it is their past and not their present. The Italian coalition government has fought hard to keep its promises, having been elected on a program to end austerity, to halt the domestic crime of the poorest Italians, paying the price of the crimes and blunders of the richest. They have driven a coach and horses through the EU’s austerity fiscal rules, a smaller coach with fewer horses than they tried at first, but a demonstrable breach nonetheless, which will reward the Italian poor with income support, known as “the citizens’ income,” and pensioners with a lower retirement age, creating job opportunities for the teeming ranks of the young unemployed. The EU threatened them with a Greek-style bruising (whilst turning a Nelson’s eye to Macron showering euros down the Champs Elysee trying to buy off the Yellow Vest movement in an even more egregious breach of the rules) but backed away with a compromise which still left Rome with a substantial victory. “We don’t need another Libya, this time in Latin America,” says Rome, with its first-hand experience of the disaster in North Africa to guide it. “We cannot accept this gross interference in the internal affairs of others,” they say. “This is the principle of non-interference enshrined in the United Nations Charter,” they insist, while most other EU states fold around them like cheap tents to the demands of Trump, Bolton and Elliott Abrams.